"Human resources professionals are entrusted, perhaps more than any other corporate designates, with the well-being of their organization's population. They bridge the gaps between the individual and the collective, the person and the purpose. The most successful and effective HR professionals see their careers as a calling, and their work, though driven by corporate goals, is graced by a sense of purpose, a profound generosity, and a love for what they do and the constituencies they serve. 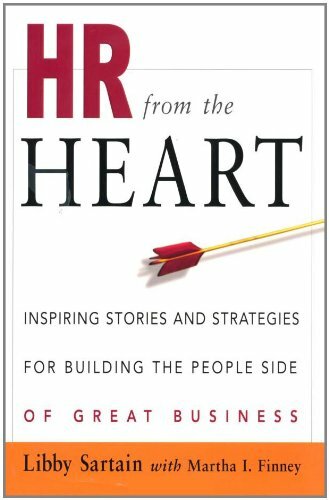 "HR from the Heart" is a book for HR practitioners who love their jobs - or want to. Libby Sartain, one of the country's top human resources executives, reveals how HR professionals create a synergy between business objectives and the needs and wants of employees. This inspiring book is equal parts motivational message and how-to, confessional and career guide. Filled with stories from Sartain's considerable experience, "HR from the Heart" offers a first-hand perspective on forging relationships, selling HR to the company, taking diversity beyond "by the book," keeping policy in perspective, and more - all while making the right career moves, staying engaged, and forwarding the strategic goals of the company."